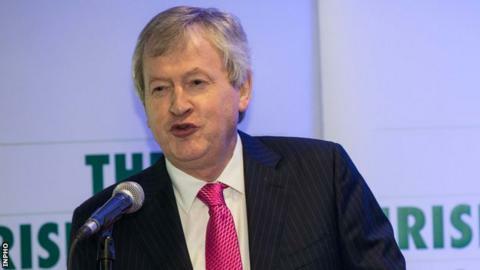 GAA director general Paraic Duffy has said that he is concerned by Antrim's relegation to Division 2A of the Hurling League. The Saffrons dropped to the Hurling League's third tier after a one-point promotion/relegation play-off loss against Kerry last Saturday. "I would have a concern for Antrim," added Monaghan man Duffy. "You would have seen them as one (of the teams) that should have been in the top-12," added the director general. "There's pluses and minuses but it's now up to Antrim to get their act together and to fight to get back up in 12 months time." However the Monaghan native believes that the current hurling league structure is ideal. "I've always agreed with the fact that the bottom team in Division 1B should play the top team in Division 2A," he said. "It probably is good that this time around the 2A team won. It's very good for Kerry. "It is good for the game that a team like Kerry can come (up) and people can see that a team like Kerry can make it into Division 1."